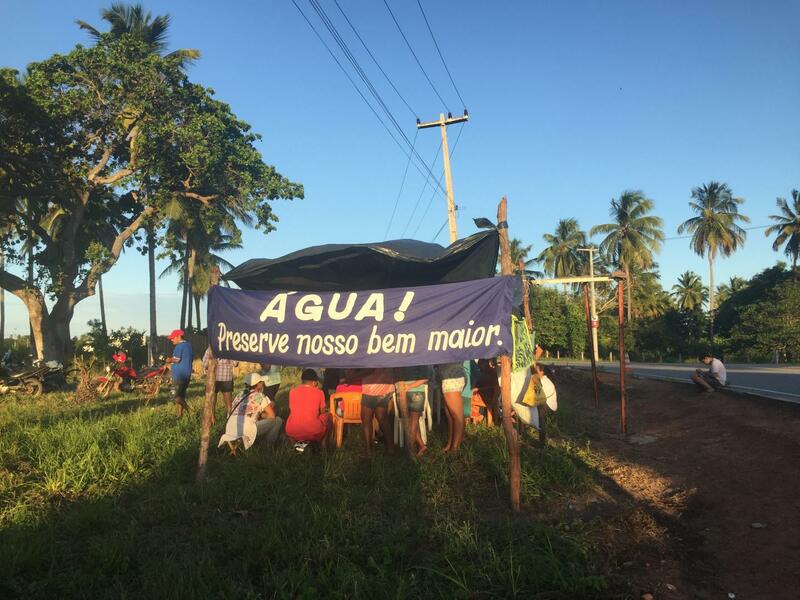 Water insecurity is a reality for vulnerable households everywhere from Flint, Michigan, to São Paulo, Brazil — from the Texas-Mexico border colonias, to Cape Town, South Africa. "Water security means adequate, reliable, affordable water for a healthy life," said Dr. Wendy Jepson, professor in Texas A&M University's Department of Geography in the College of Geosciences. Household water insecurity can result when those conditions are not met, and can happen almost anywhere. "We will be consolidating our research resources and looking for new ways to study household water insecurity and impacts on health, well-being and livelihoods," Jepson said. "We'll be developing a geospatial perspective. And, using the toolkit we've taken abroad, we will take a harder look at water insecurity in the U.S. and Canada." "The Flint water crisis was not an anomaly. Water insecurity is experienced in many communities," Jepson said. "Water insecurity among the homeless has been documented by Dr. Wutich. And, my previous research on Texas colonias underscored that despite massive investments, low-income families face hard choices about paying water bills, going to the grocery store, or putting gas in the car." "How do you measure this?" Jepson said. "That's a key question, because once you measure it, you can look at causes and consequences in a more systematic way that's less anecdotal." "Now we're building a global network," she said. "The RCN will be developing new approaches for studying these questions, and finding the causes and consequences." "We have outlined three major workshops, including engagement with various stakeholders in the international water sector. We are also developing tools, webinars, podcasts, and a data platform for our research community." Texas A&M Water Management and Hydrological Sciences master's student Amy Truong will also be the program coordinator for the entire RCN. "In the end, the Research Coordination Network is an investment in research infrastructure — and that infrastructure is human capital, because ideas and creativity and problem solving happen in collaboration," Jepson said. "The NSF is not just funding three workshops — it is about fostering organic growth, collaboration and mentoring in a community of practice, to advance discovery and research." The team will also include practitioners who have doctorates but work outside of academia, and the RCN's steering committee will include diverse professionals from multiple countries as well. Water security is a complicated concept to measure and study, Jepson said, because it means that water is "available for various activities, for personal hygiene, cultural practices — not just for biophysical." "We have to recognize that it means more than just drinking water. It's about how water is part of our daily cultural activities. We try to think water not as a thing, but how we can secure ways people interact with water."